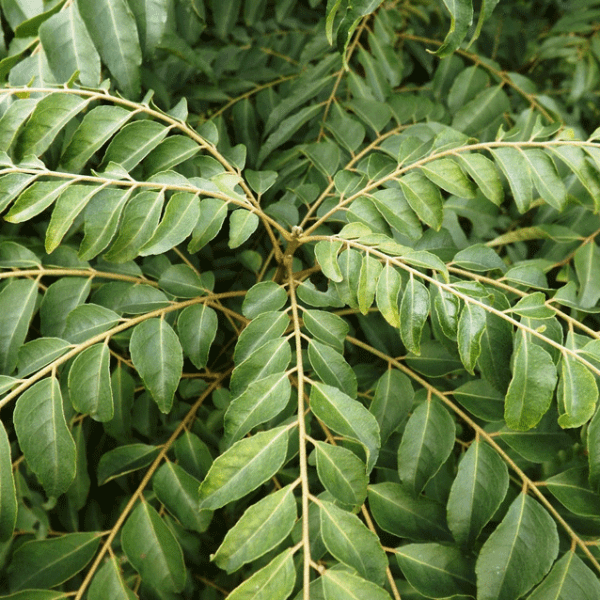 The curry tree is a tropical tree native to India and Si Lanka. 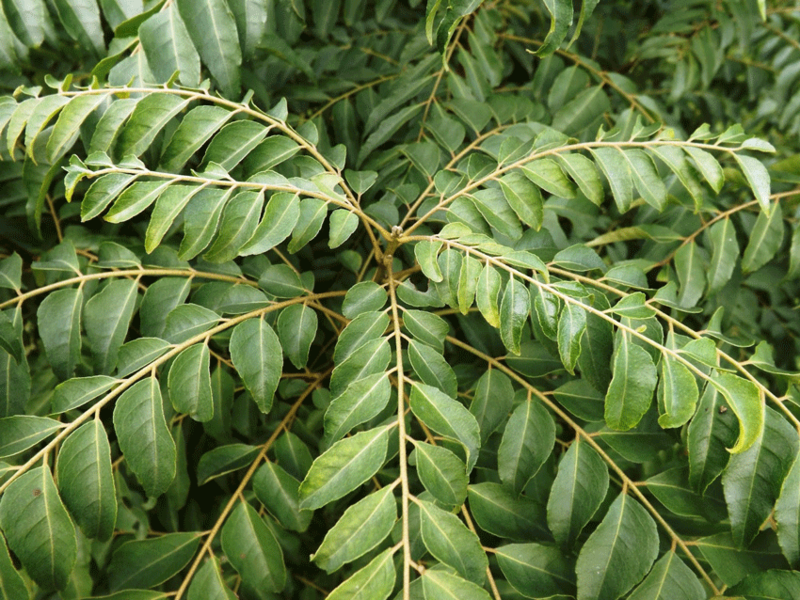 The leaves are used in many dishes, but mostly curries. It is typically a smaller tree, growing approx. 5 metres in height. Small white flowers are found which can produce small black berries that contain seeds. These trees prefer a full sun to light shade.